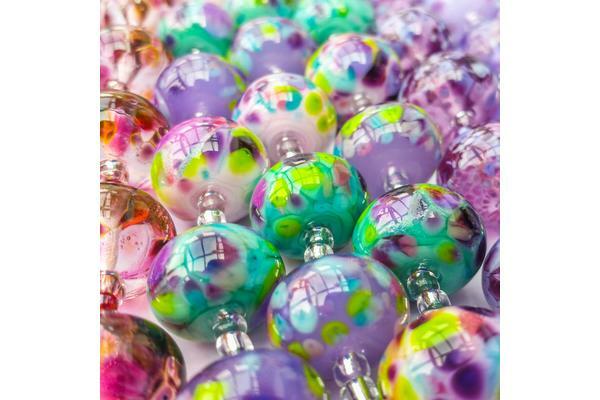 Sarah started making glass beads in 2002 and teaching beadmaking in 2006. 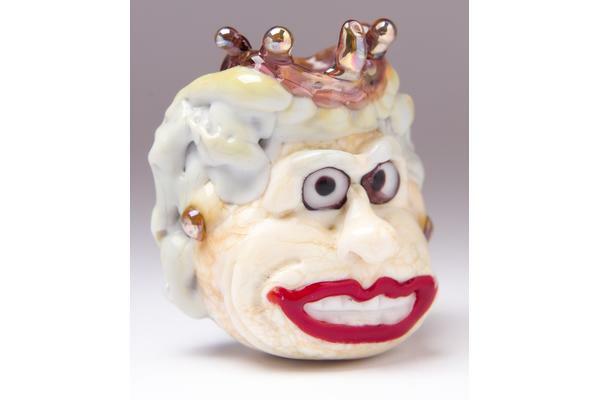 She sells at bead and art fairs, is a City and Guilds qualified teacher and four times judge of the British Bead Awards. 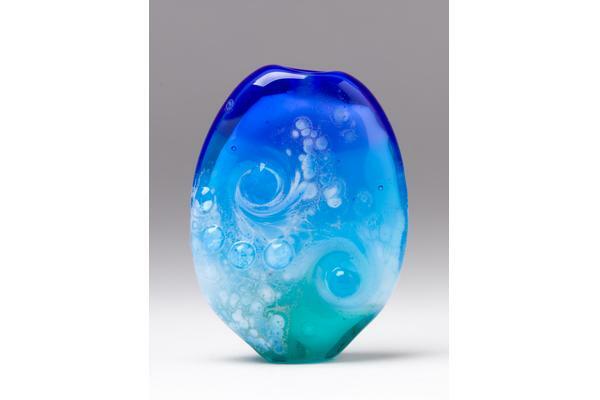 She is a member of the Surrey Guild of Craftsmen (where she sells her work), Glass Beadmakers UK and the International Society of Glass Beadmakers. Beginners courses are well structured with demonstrations followed by student practice. 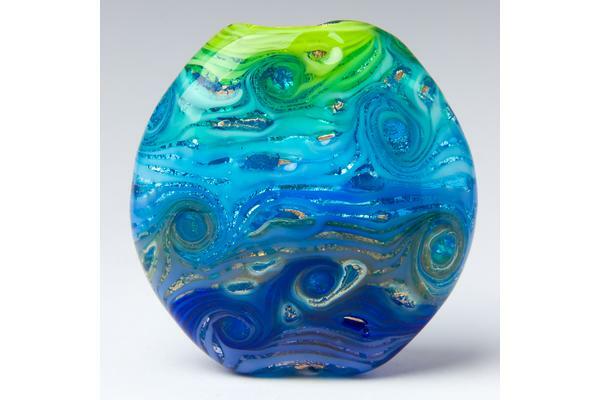 Skills and techniques are gradually built up to facilitate student confidence, discovery and a basic understanding of glass. The coast, colour, light, movement, techniques and materials, all play a part in my inspiration. The flow of hot glass and unpredictable reactions with other colours influences design evolution.